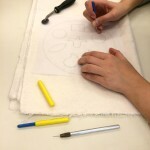 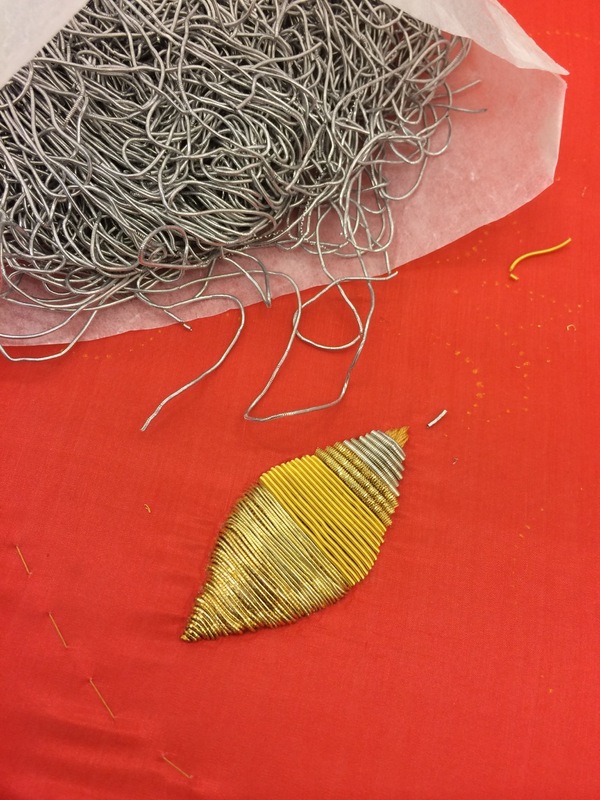 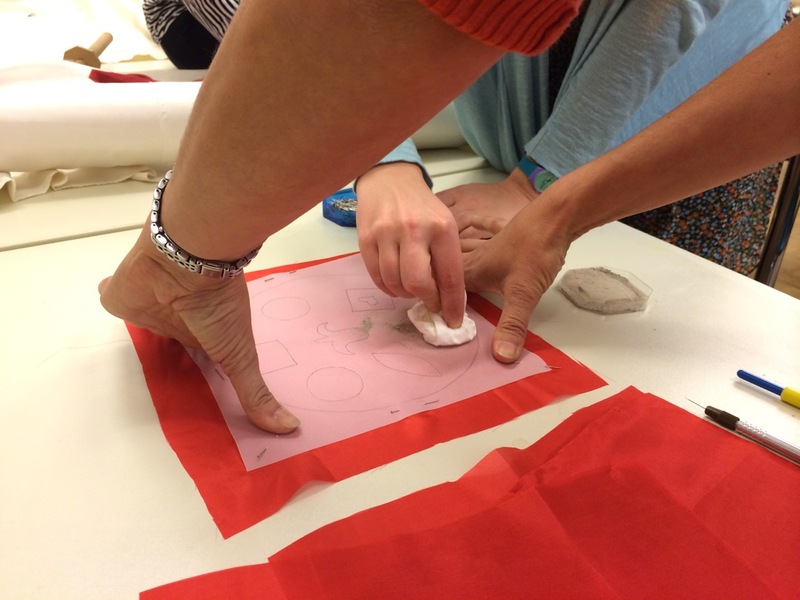 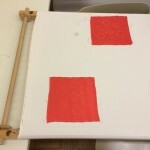 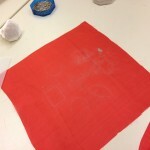 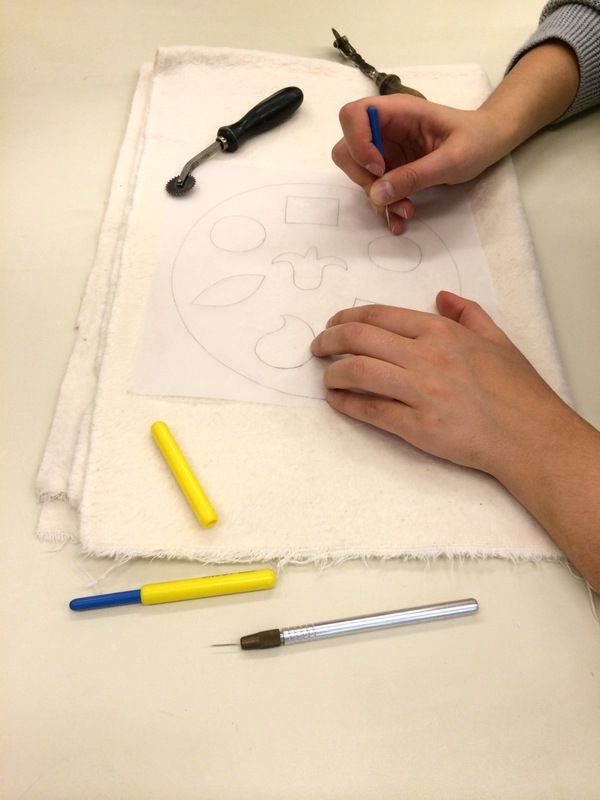 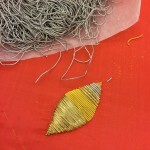 Preparations for embroidery with metal threads: preparing the pattern blueprint, puncturing the pattern on paper. 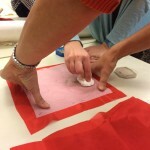 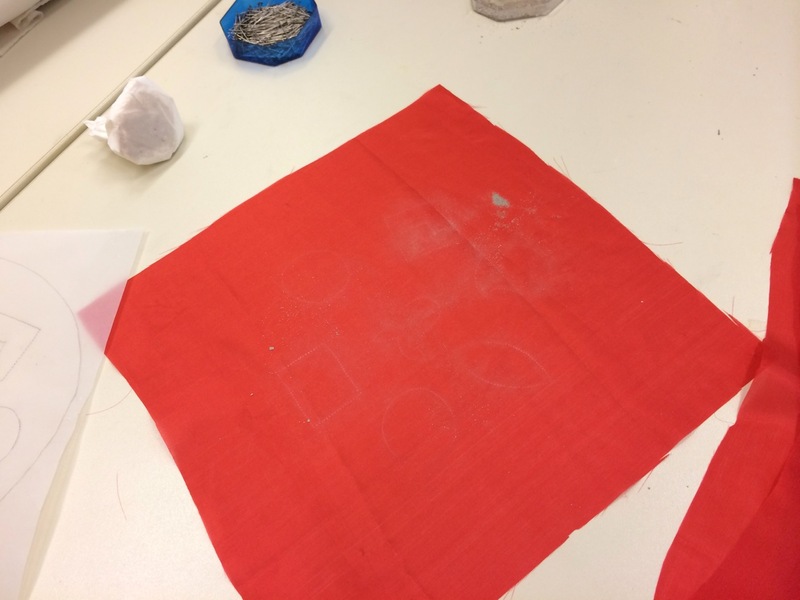 Transferring the pattern onto the silk using the historic technique of spreading chalk powder through the punctured paper. 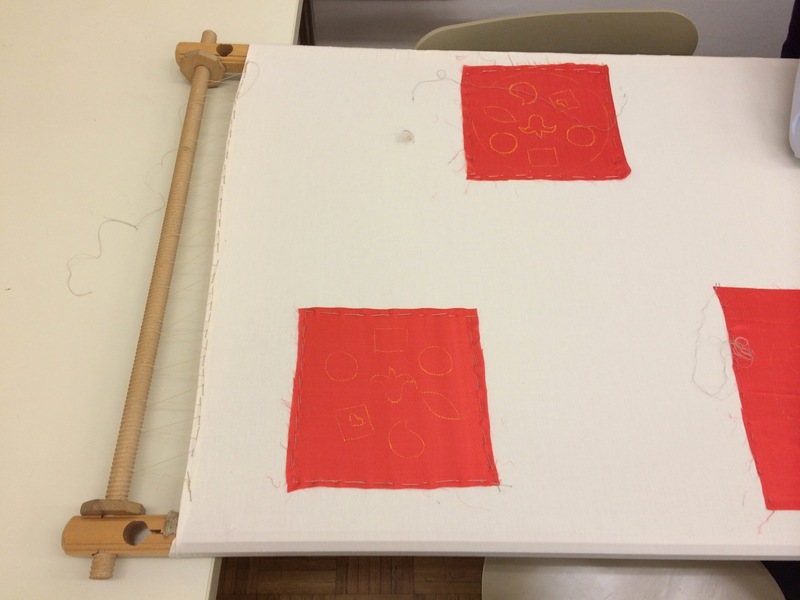 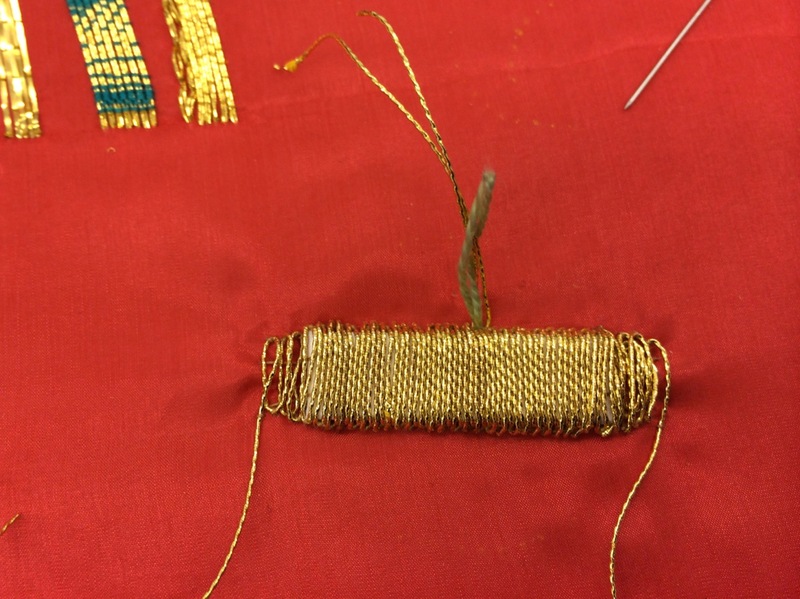 Fixing the silk on a support fabric on an embroidery frame. 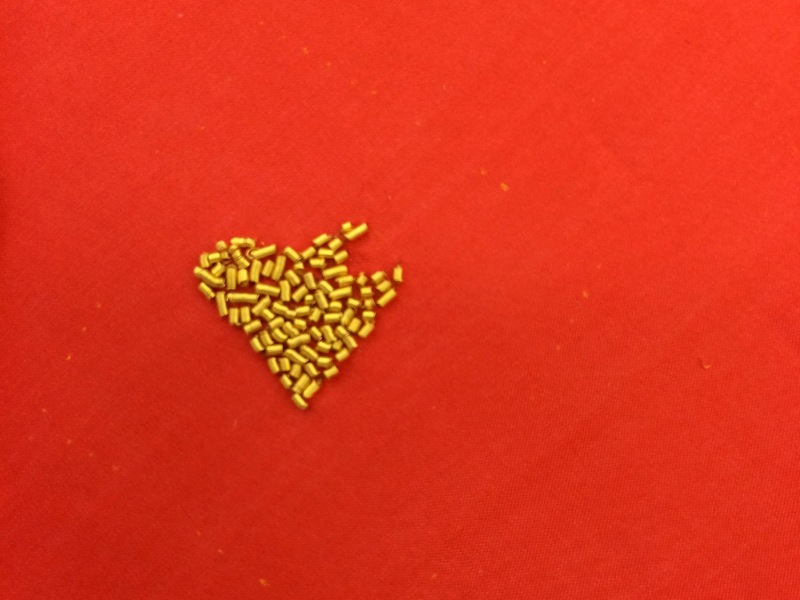 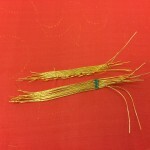 Surface Couching (de: Legetechnik) of Japan Gold (de: Japangold): gold coated paper around a thread core. 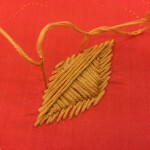 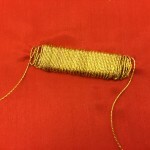 The thread is laid and couched in pairs, couching thread is in a similar colour. 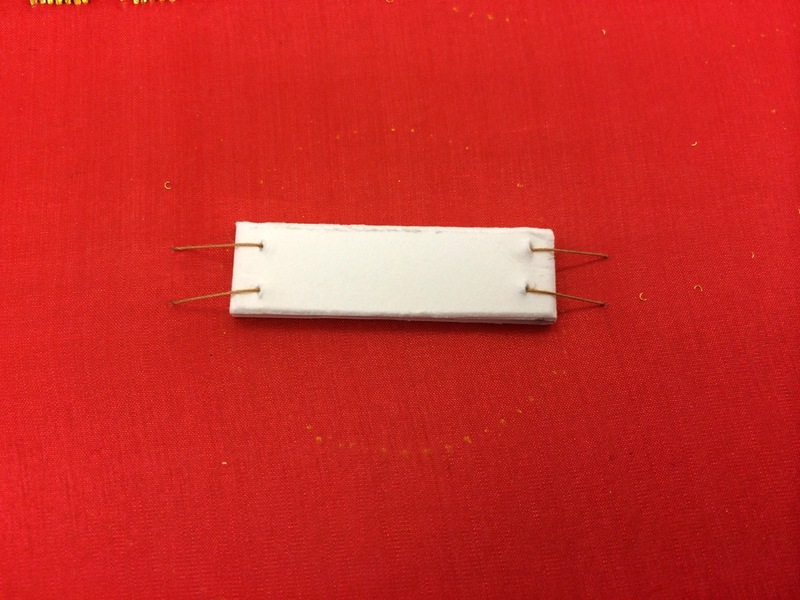 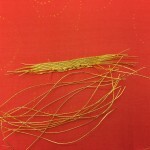 The couching threads are offset so that they do not cause “bumps” in the end design. 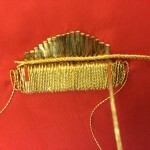 Underside Couching (de: Versenkte Legetechnik) is a similar method, except the couching thread is pulled tight, causing a small loop of the laid thread to pull through to the underside of the fabric. 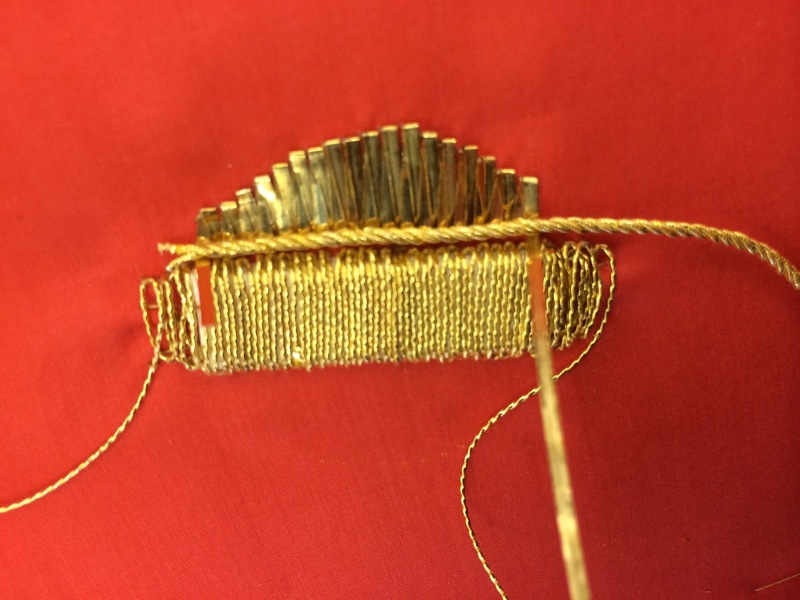 Or Nué, Shaded Couching (de: Schattierte Legetechnik), a different coloured thread is used to produce shading on top of the metal threads. 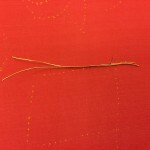 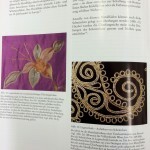 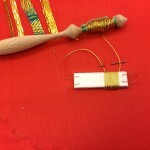 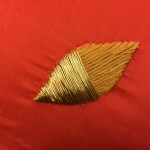 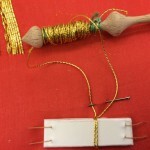 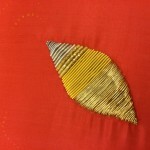 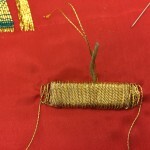 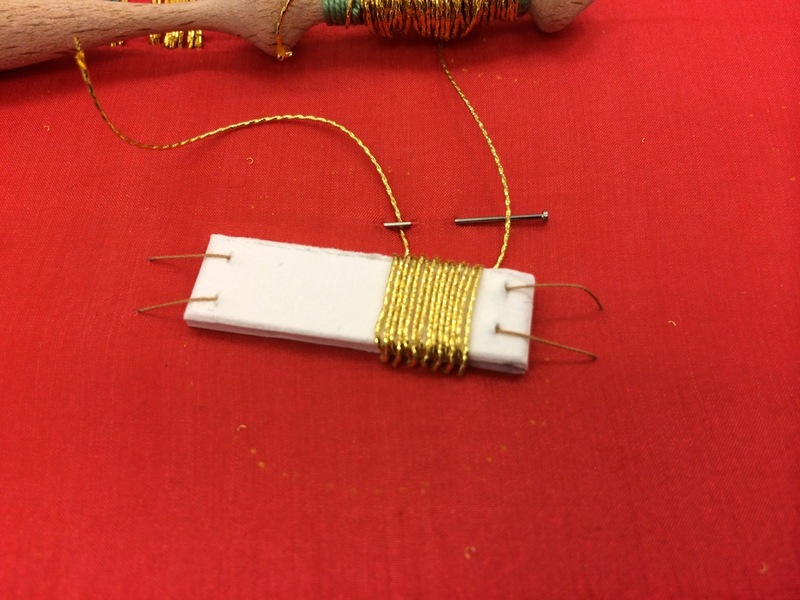 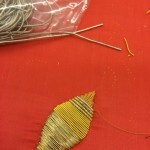 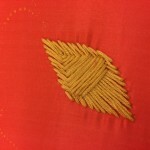 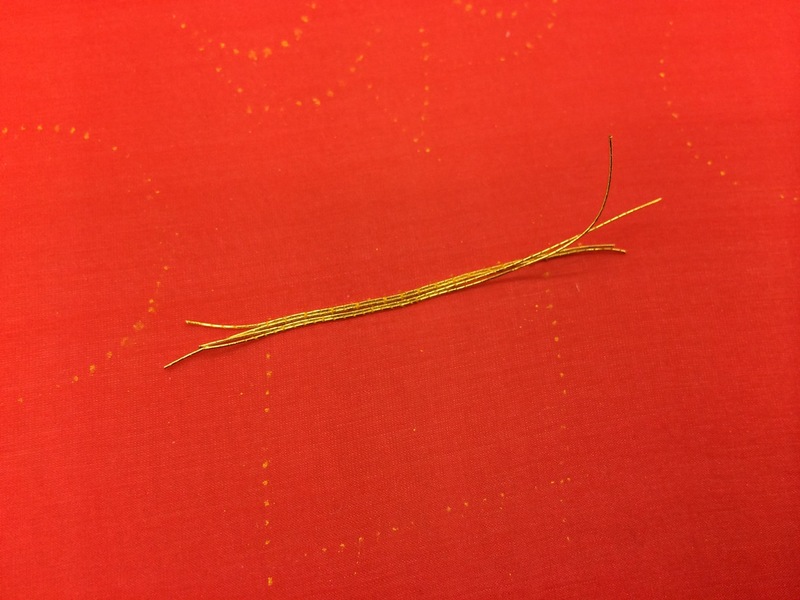 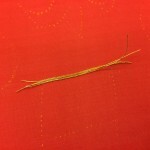 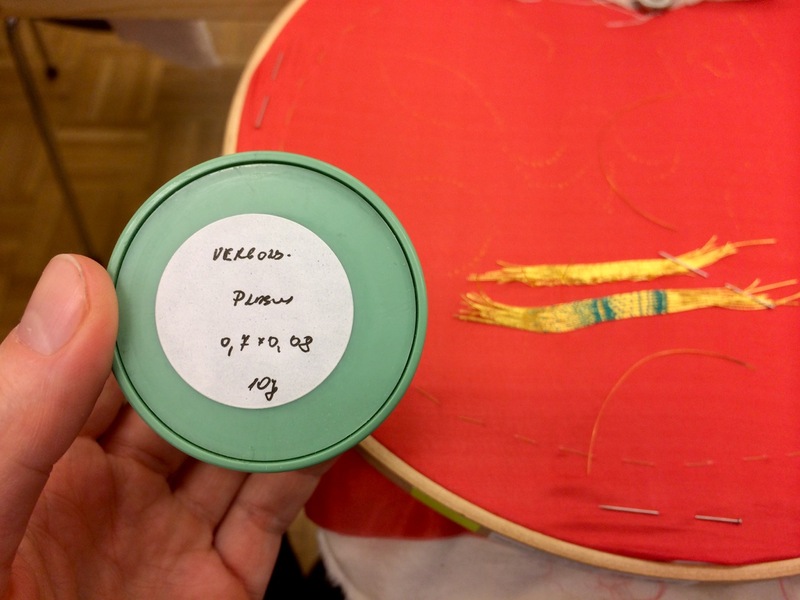 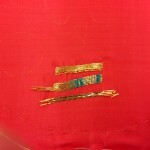 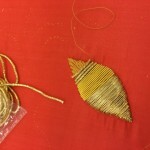 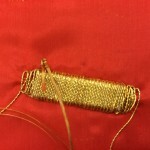 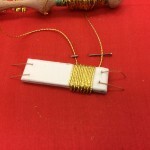 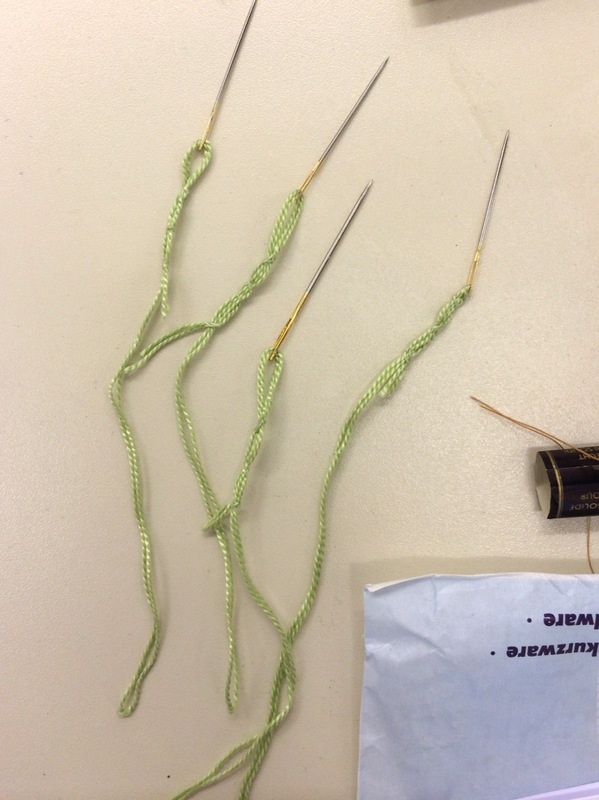 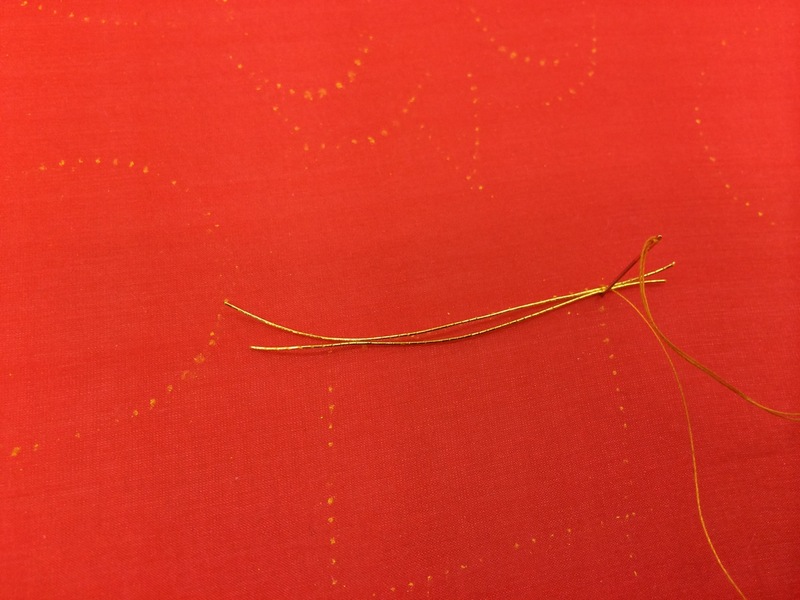 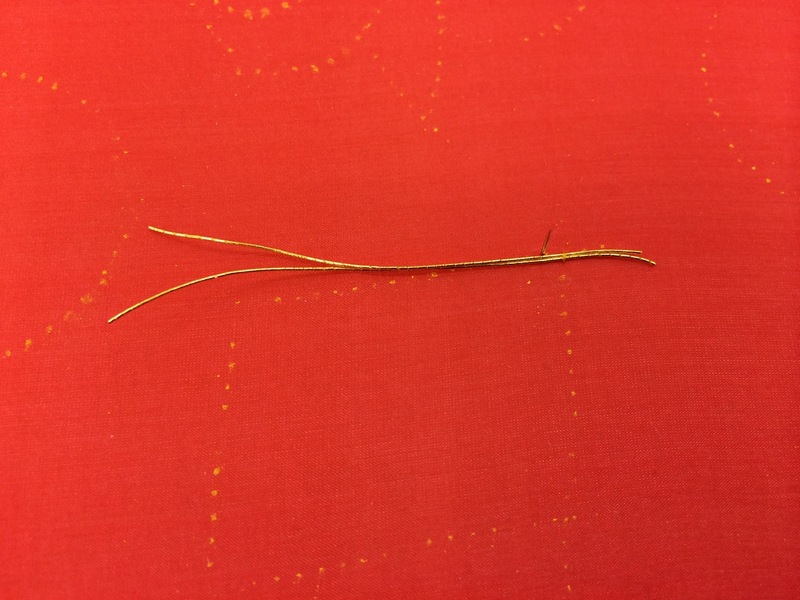 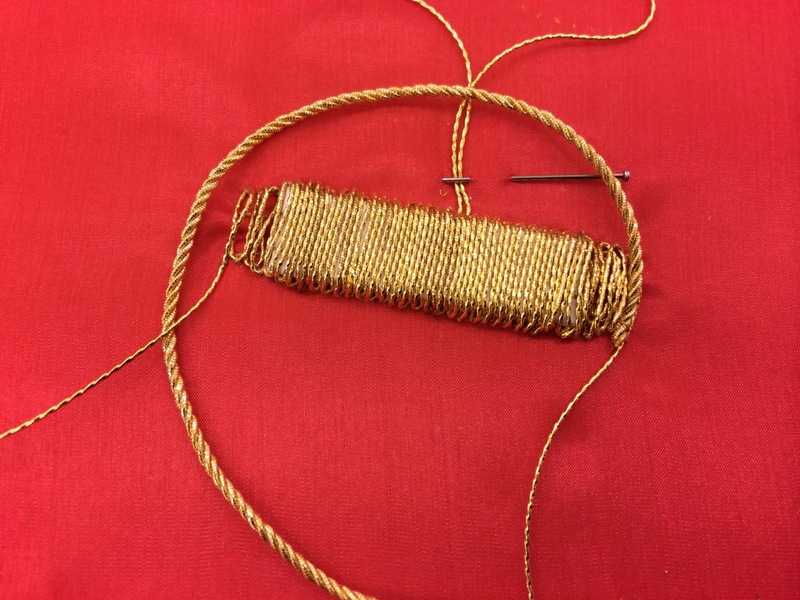 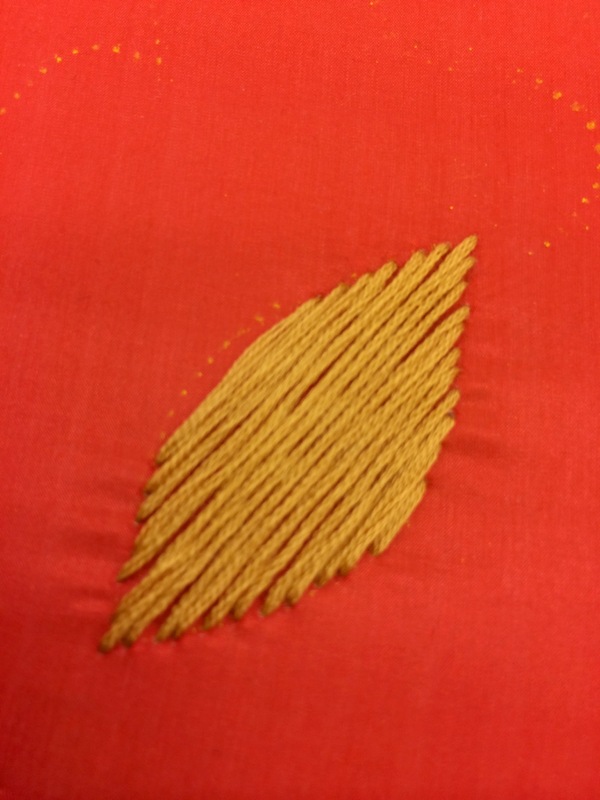 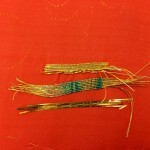 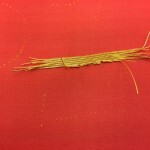 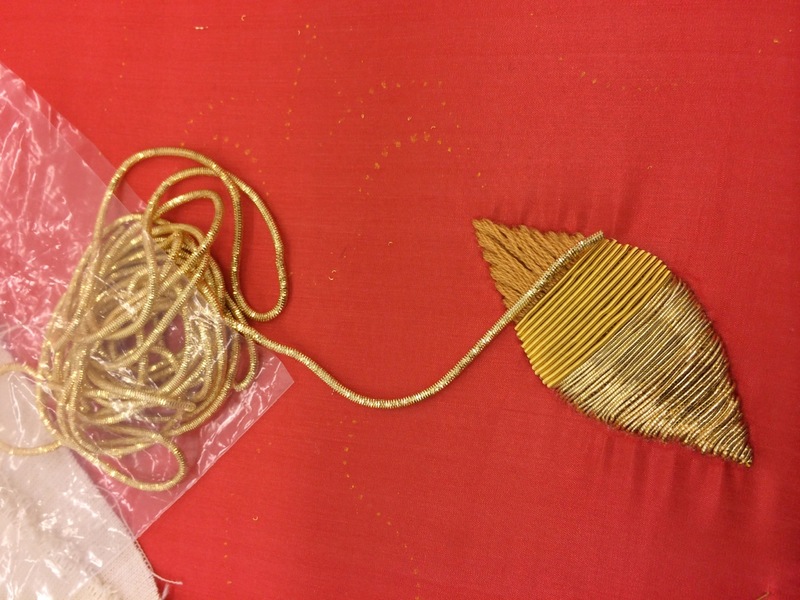 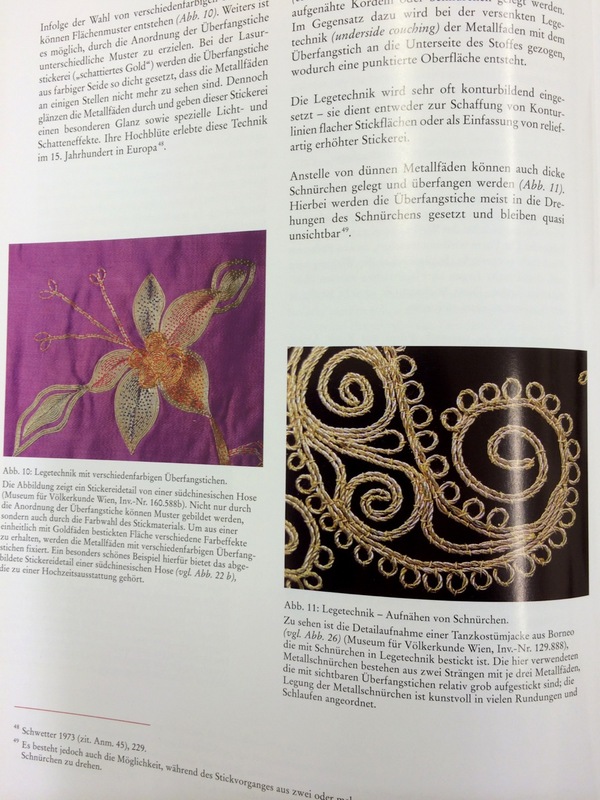 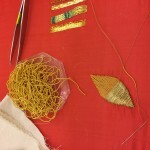 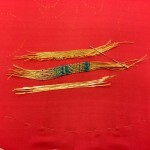 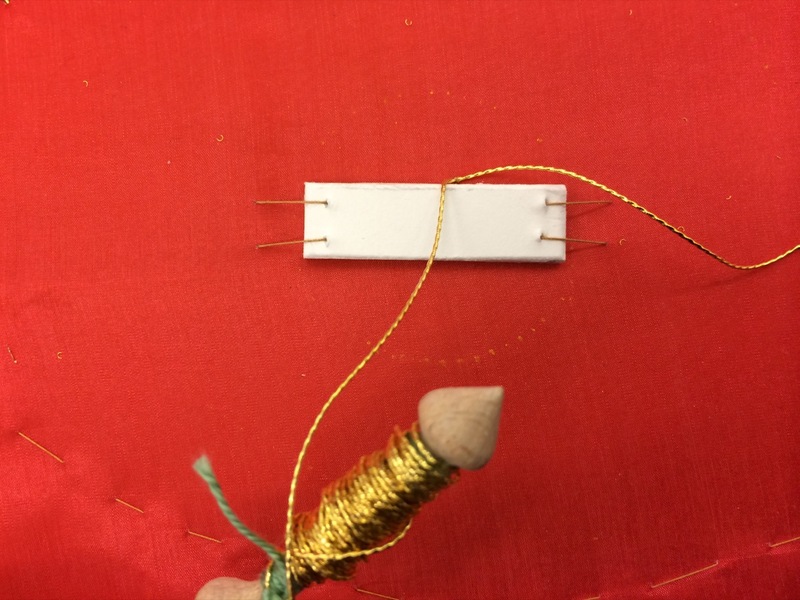 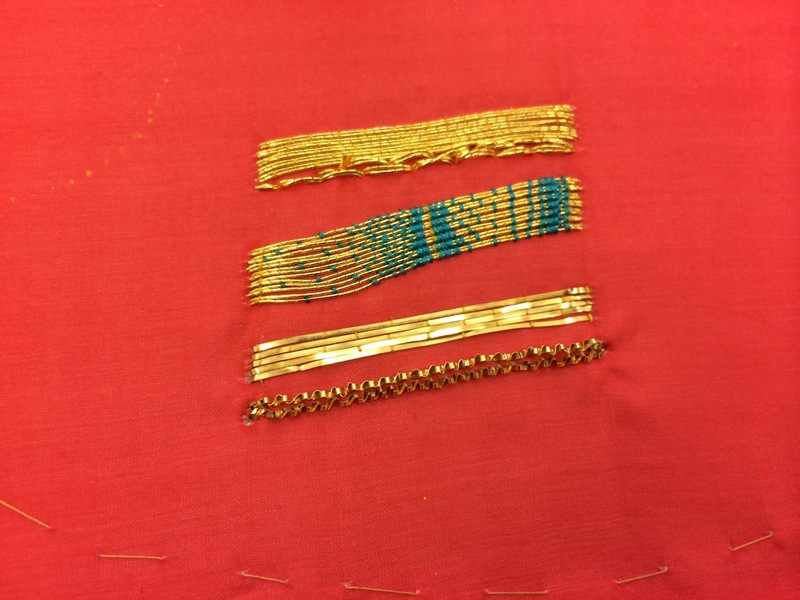 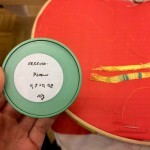 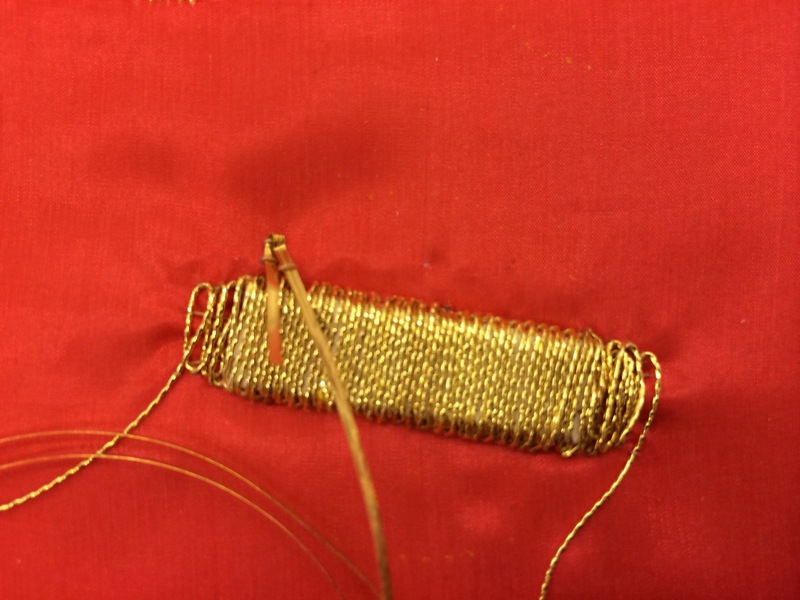 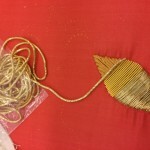 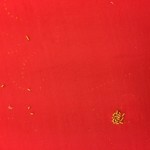 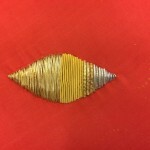 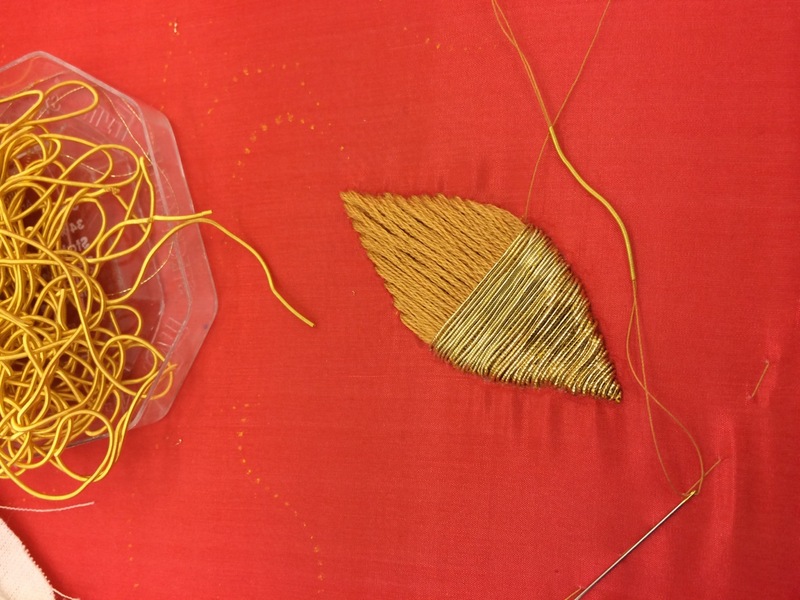 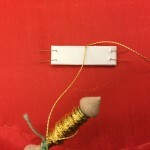 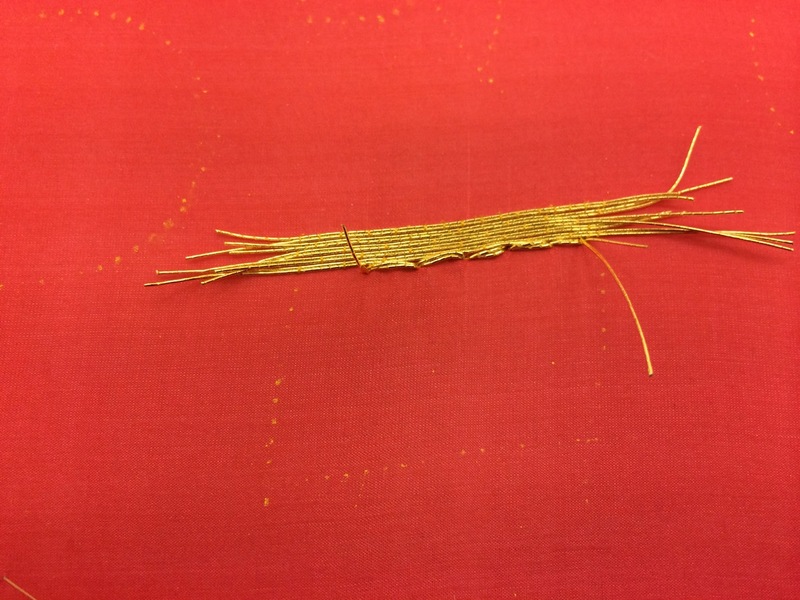 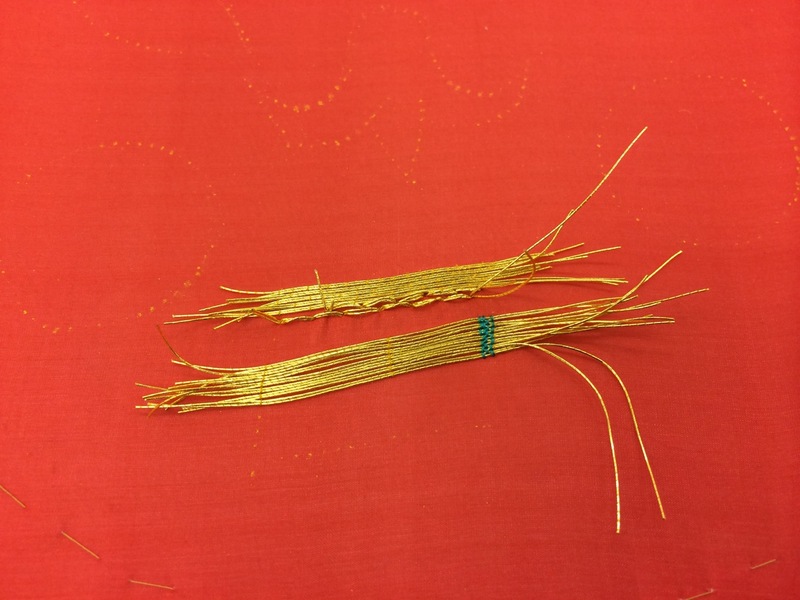 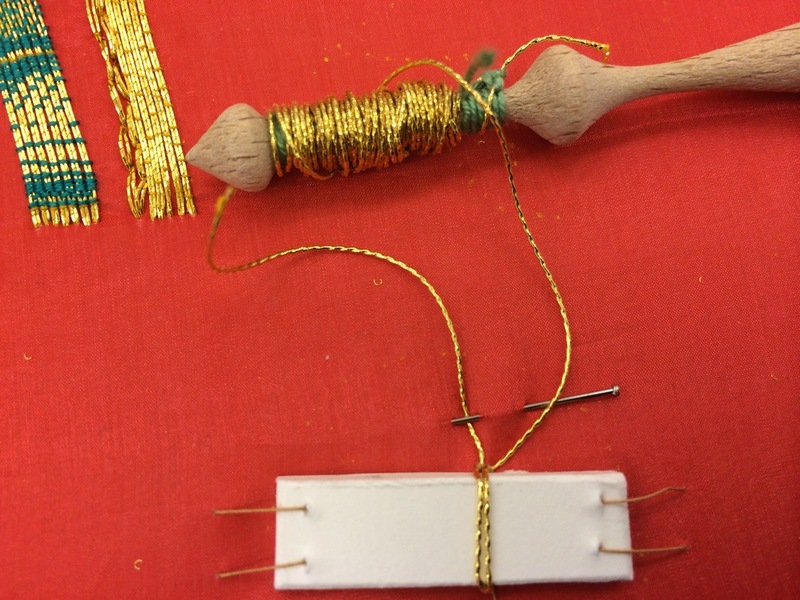 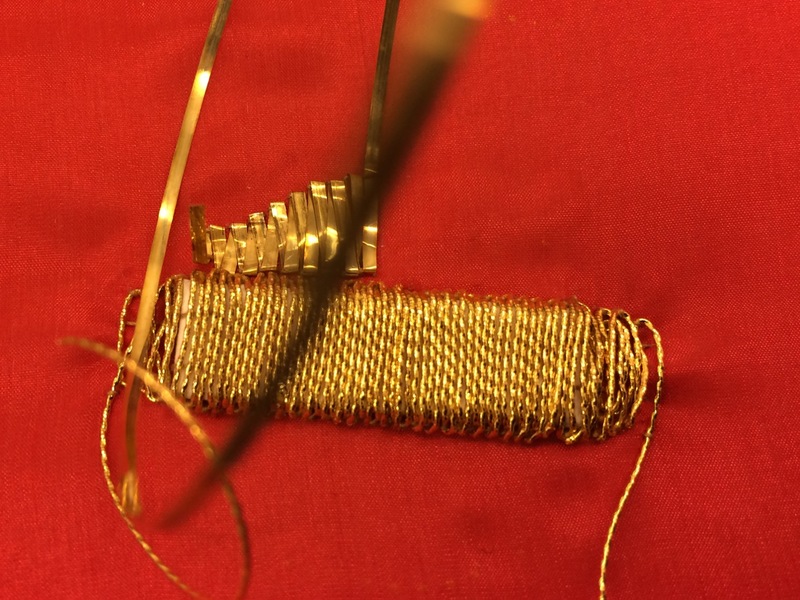 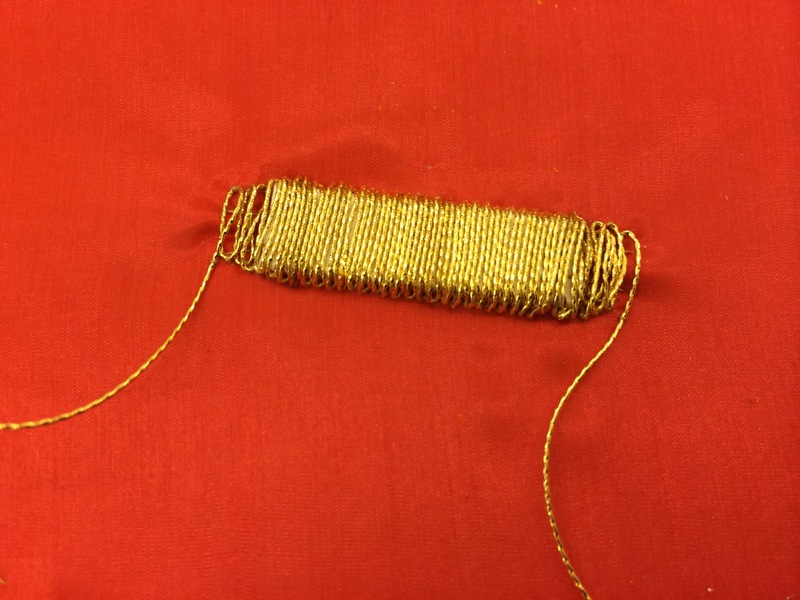 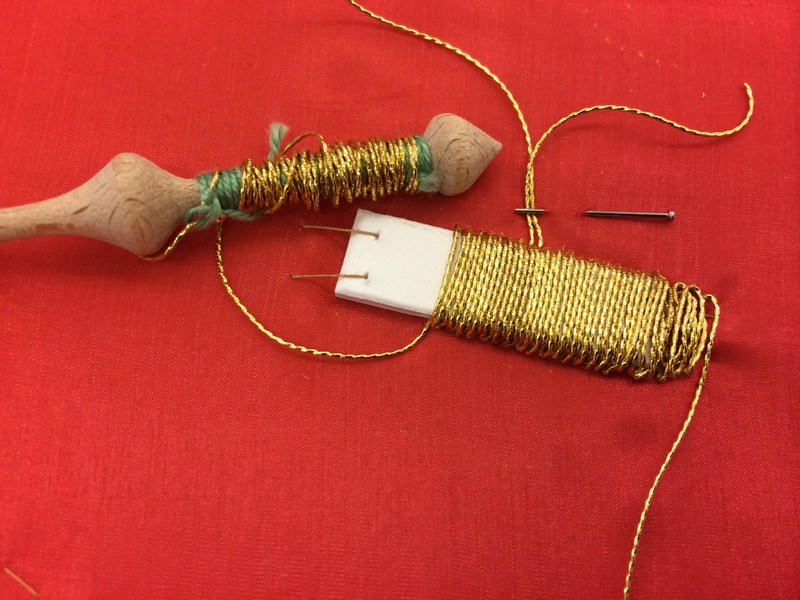 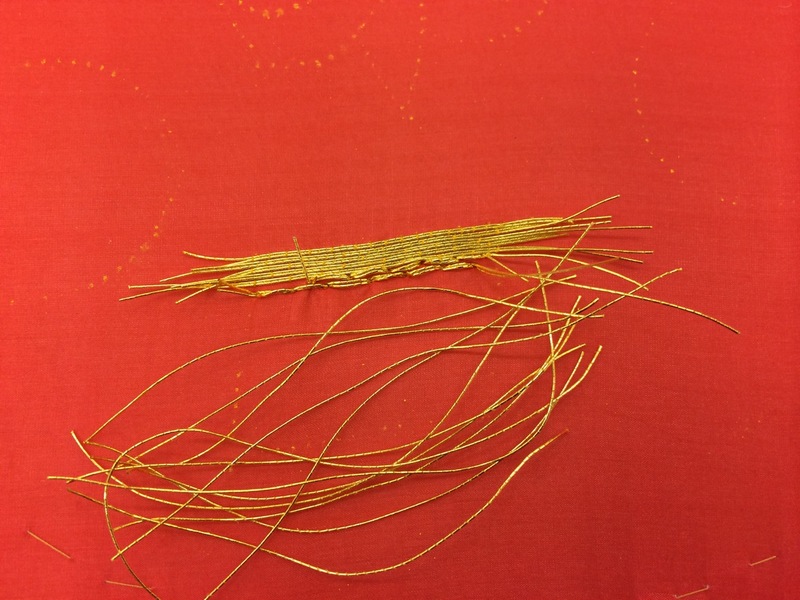 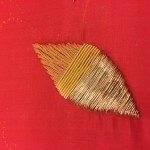 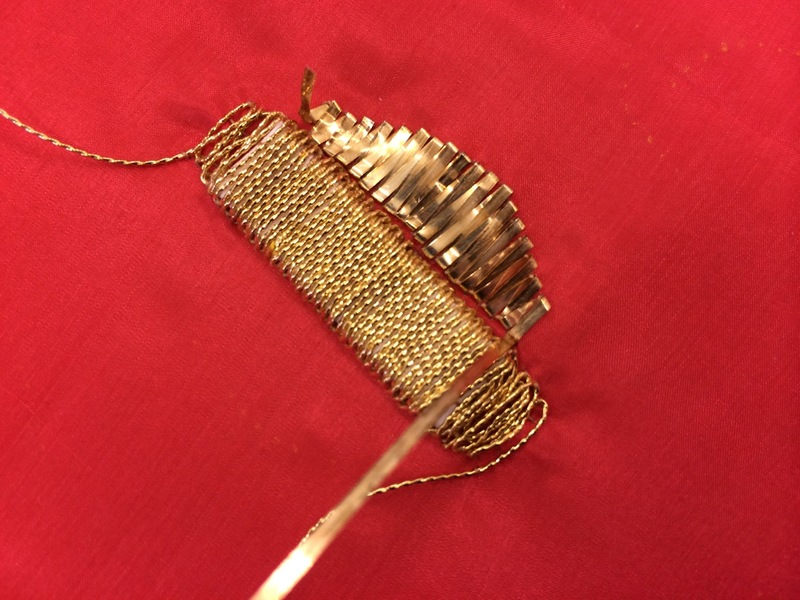 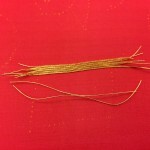 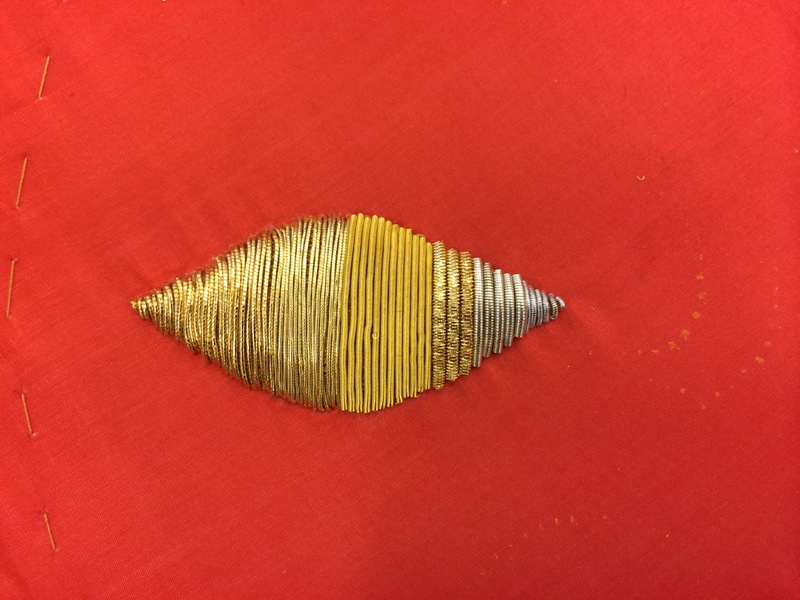 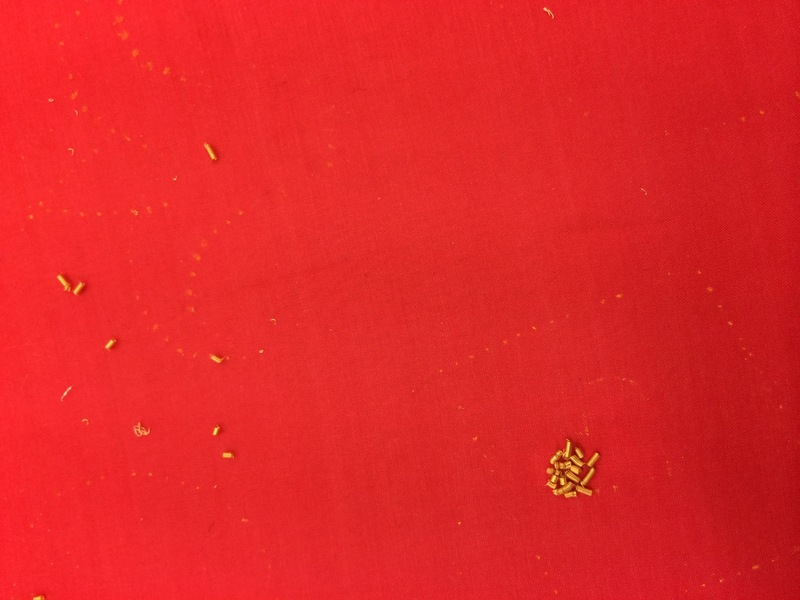 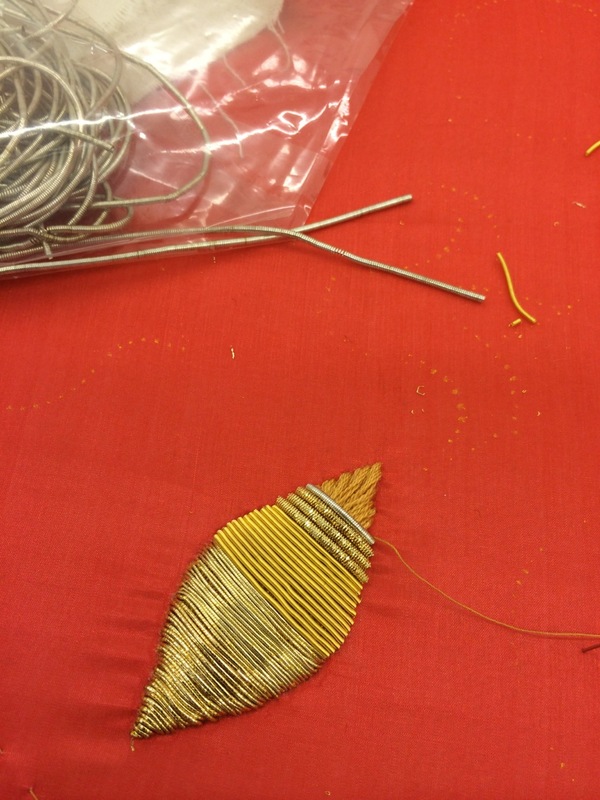 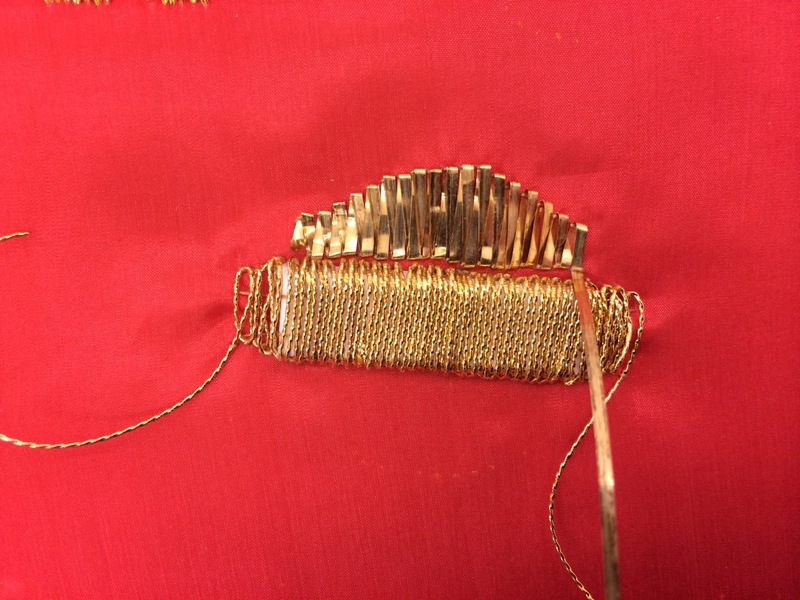 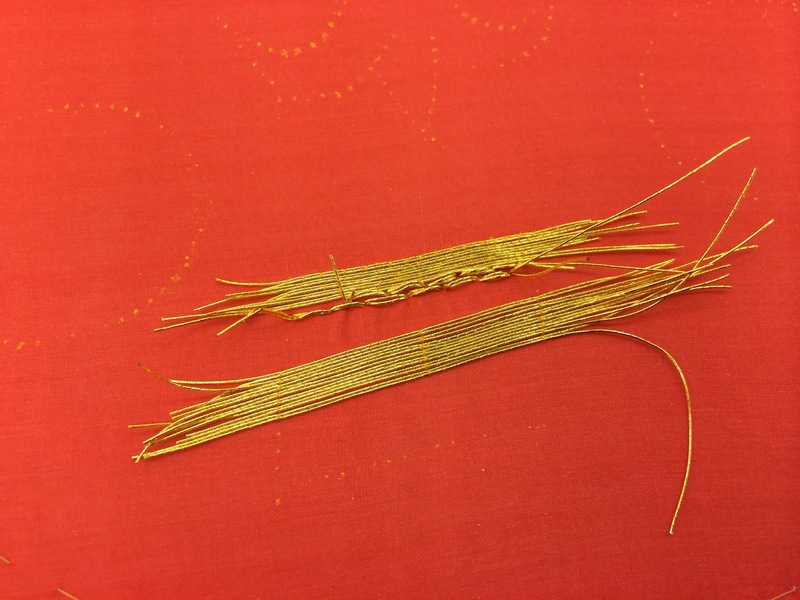 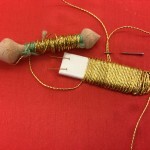 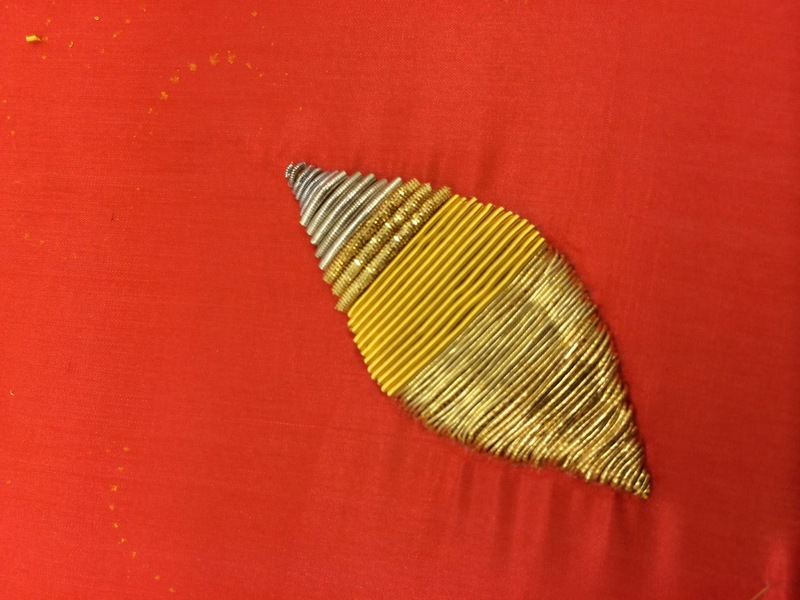 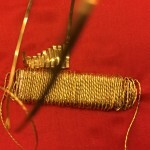 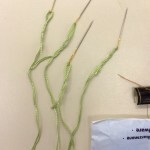 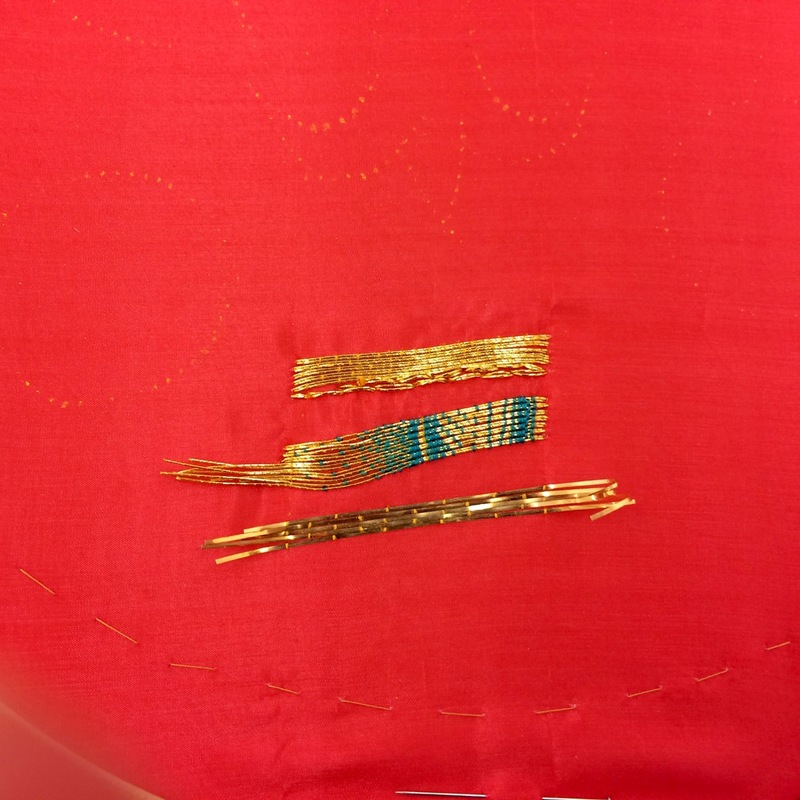 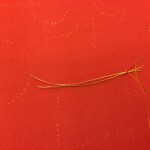 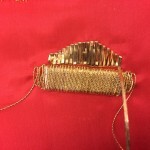 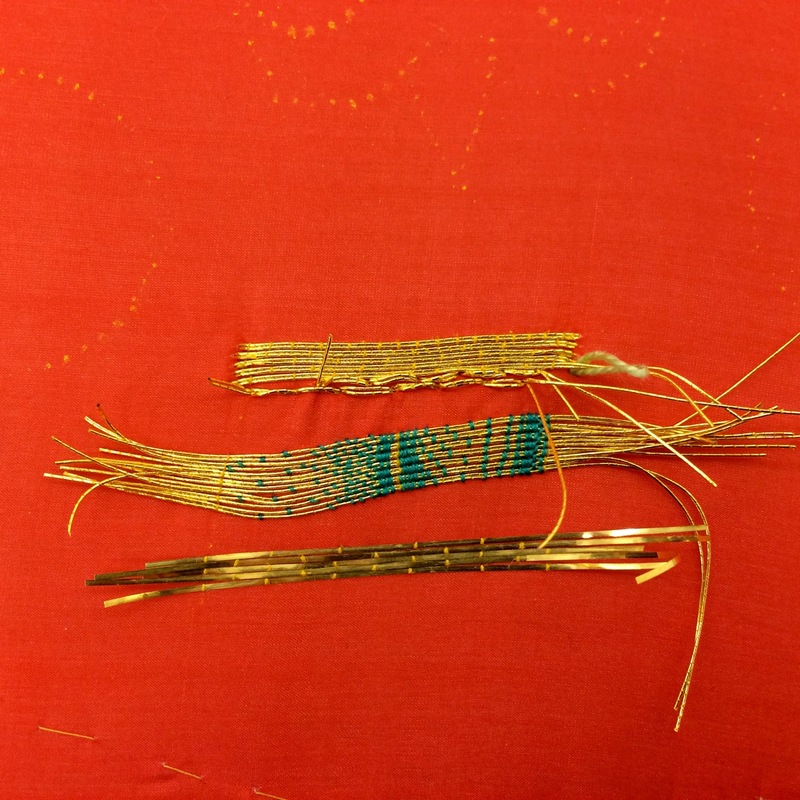 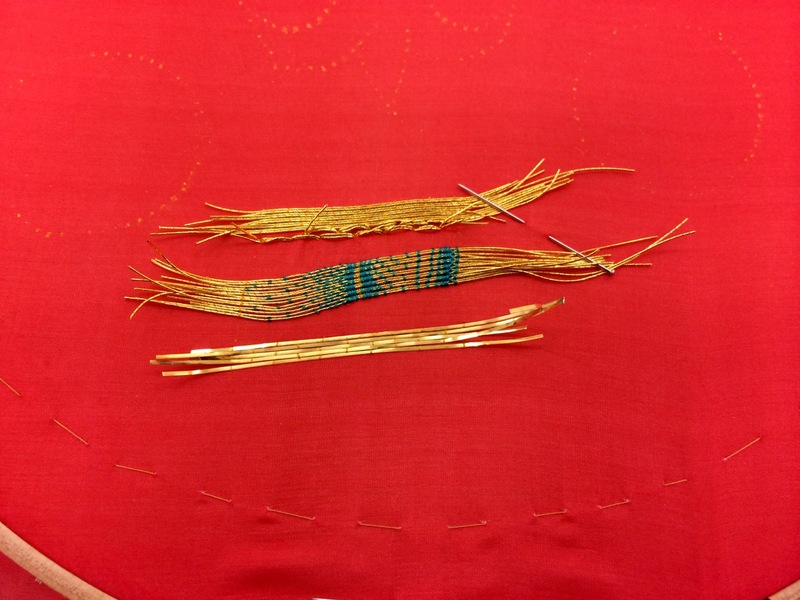 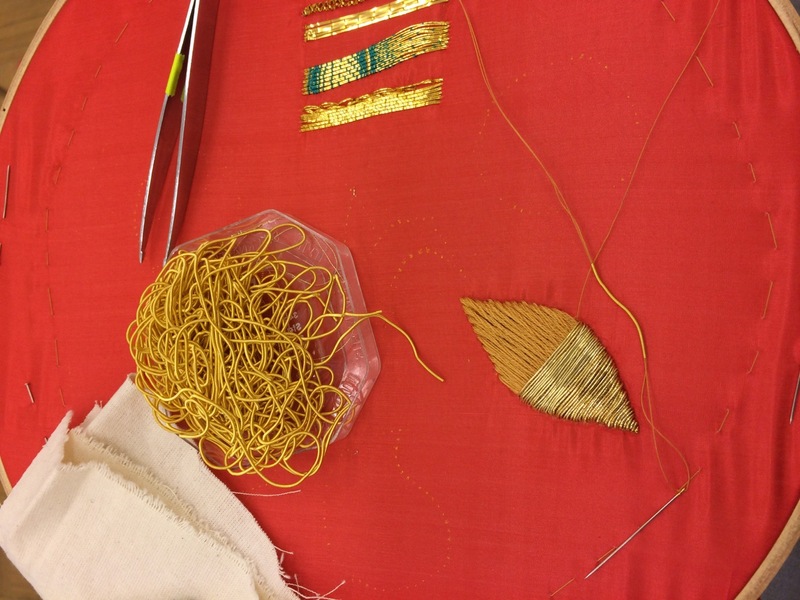 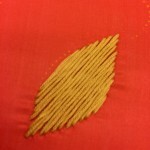 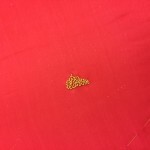 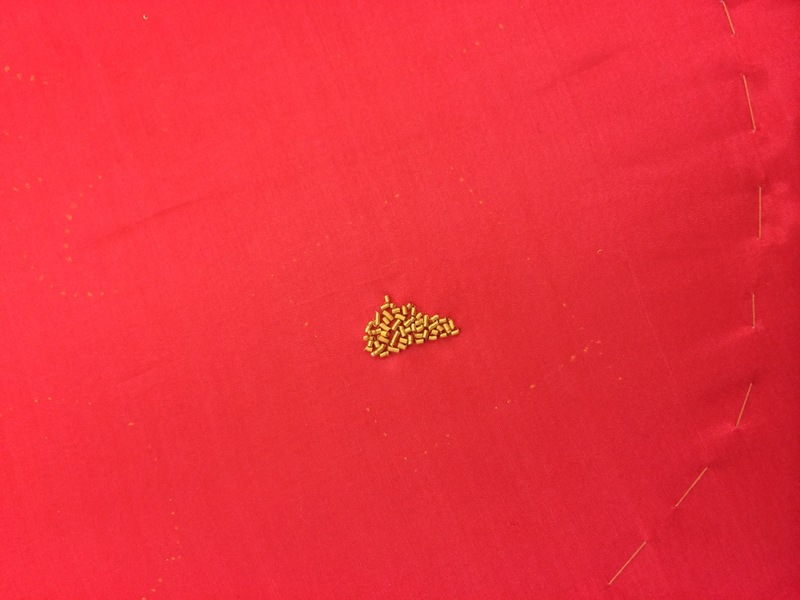 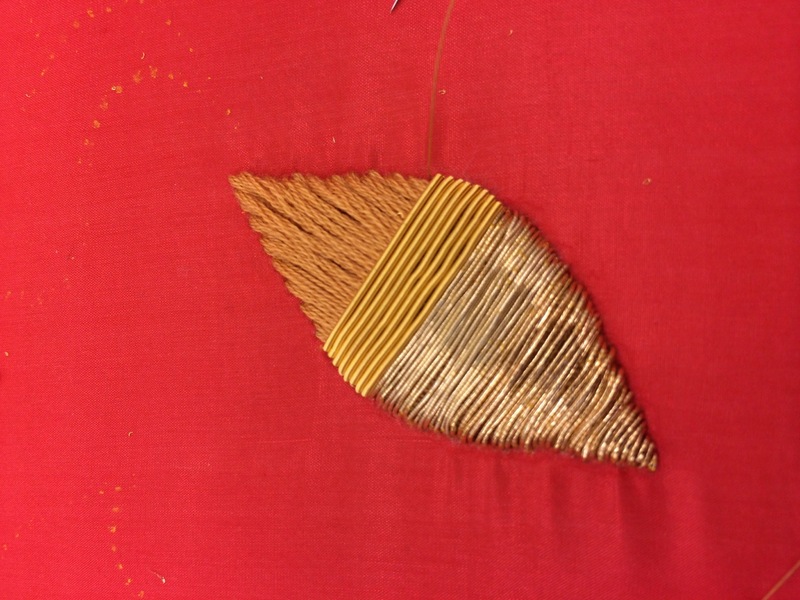 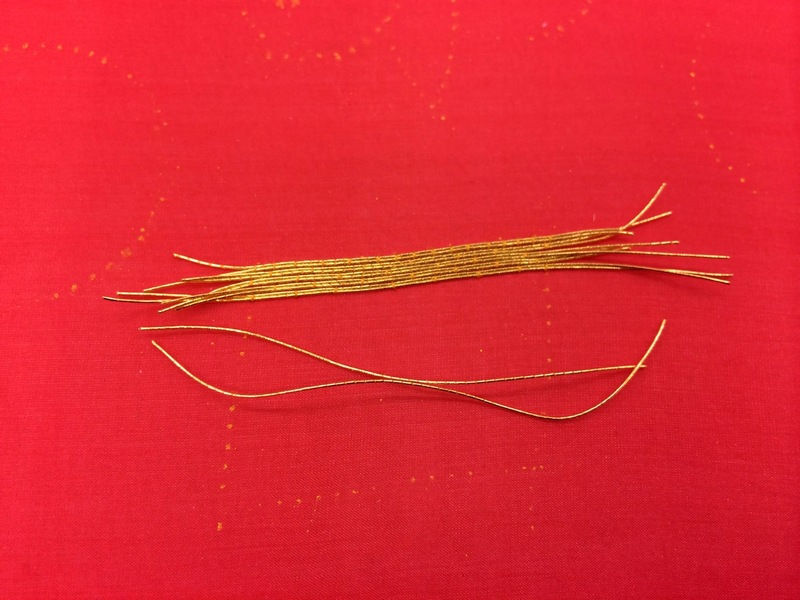 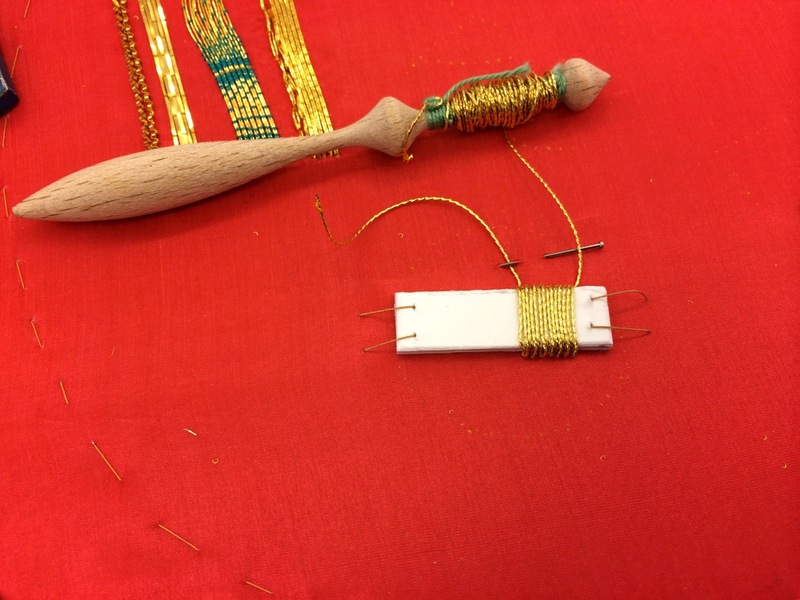 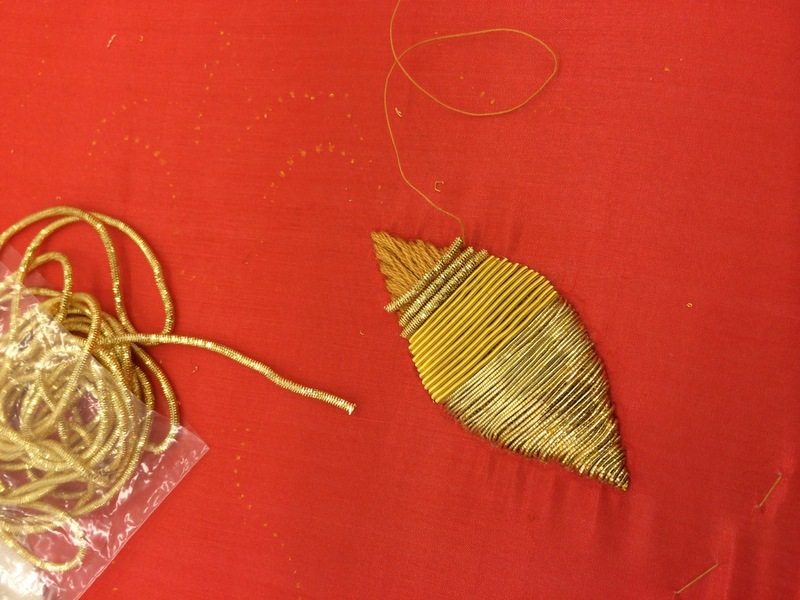 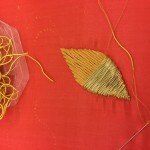 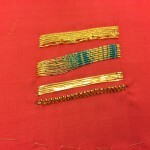 Passing Thread Technique (de: Stechtechnik): The only gold embroidery technique, where the metal thread is actually pulled with a needles through the fabric. 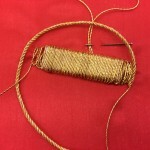 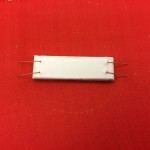 Wire Bullions are very fine wire threads wound into a tubular shape. 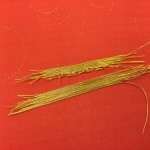 They are defined by different colours (gold, silver) and shapes. 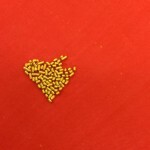 Bright Bouillon ( has a smooth surface and is shiny in appearance). 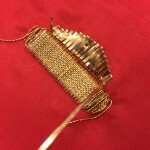 Here, two different sizes of silver Bright Bullion are applied.